Black and white image of a horse sale in downtown Hillsboro. 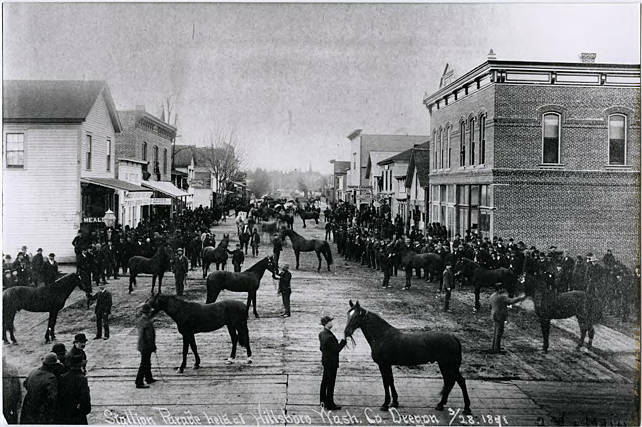 Various horses are standing in the street and alongside it, while crowds of mostly men watch. The street is plank, and the buildings are mostly two-story. Two are brick. [Front] [white ink] Stallion Parade held at Hillsboro Wash. Co. Oregon 3/28, 1891 [sic].